Bridge for Health co-lead & founder Paola Ardiles sets off the year in positive light as she emerges winner of Health Promotion Canada 2017 Mid-career Award! Paola was described as a current leader in health promotion in Canada, who is destined to be a future one as well, and was hailed for a stellar track record of accomplishments in #publichealth and a strong history of progressive advancement in leadership & management roles! We are beyond proud and inspired! 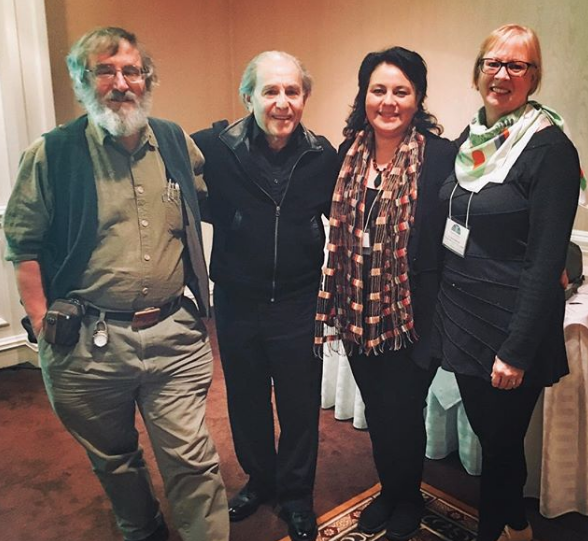 Photo: (left to right) Trevor Hancock, Irving Rootman, Paola Ardiles, Ann Pederson at the launch of Health Promotion in Canada: New Perspectives on Theory, Practice, Policy and Research (4th edition) November 2018, Vancouver, BC.